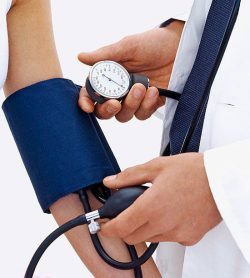 Since most people with blood pressure issues seem to suffer from a blood pressure that is often higher than what is considered normal, hypertension enjoys a lot more attention than hypotension, or low blood pressure. Perhaps this is also because there is an abundance of drugs that can be prescribed for high blood pressure. For low blood pressure there are medications but their mechanism of action may be questionable. Some work by promoting sodium retention by the kidney, thereby causing fluid retention and some swelling, which is apparently necessary to raise blood pressure. However this sodium retention also causes a loss of potassium. Others work by restricting the ability of your blood vessels to expand, which then raises blood pressure. Due to their mechanism of action one may have to remain on these drugs for life. Seems they only force blood pressure to rise while you’re taking them. So what is regarded as low blood pressure? If your normal systolic pressure is 90 or lower and your diastolic pressure is 60 or lower you would be diagnosed as having low blood pressure and be labelled “hypotensive”. Compared to hypertension, or high blood pressure, the risks are almost negligible and you can consider yourself one of the lucky ones. If you can put up with the occasional light-headedness there is nothing to stop you from living a long and healthy life. However some people may feel constantly dizzy, sometimes to such an extent that they feel off-balance and in danger of falling. That can’t be fun for anyone: so action needs to be taken. The most common cause of low blood pressure is stress. Most hypotensives don’t even realise they are stressed because they suffer from “hidden” stress. However other possible causes are genes, chronic medications such as beta blockers, diuretics and some antidepressants, anemia, heart conditions and neurological disorders such as Parkinson’s. Can diet and nutrition make a difference? You’ve heard that hypertensives should not drink coffee but you’re mistaken if you think that implies that if you are hypotensive, you can drink as much coffee as you like. Although caffeine may initially boost blood pressure levels, it has a diuretic effect, which will exacerbate the problem of low blood pressure. For the same reason alcohol on a daily basis should be avoided as it is dehydrating too. Water increases blood volume and helps prevent dehydration, both of which are important in treating hypotension, so make sure you drink enough water during the day. Also eat heaps of fresh fruit and vegetables so that you get an adequate supply of essential electrolytes, minerals and trace elements. You could try using more salt and if you’re unfortunate enough to be one of those who really suffers with constant dizziness you could even drink salted water throughout the day. However rather stick to Himalayan salt for this purpose. Sodium can raise blood pressure which is a good thing for you, however it could be harmful if not balanced with other minerals and trace elements. The B vitamins have a reputation for being “anti-stress vitamins” — able to balance mood and calm the nervous system. They don’t actually relax one, in fact they give most people more energy, so rather don’t take them after mid afternoon, or your sleep might be affected. But certainly, supplementing with B vitamins especially B5 (pantothenic acid/d-calcium pantothenate) can assist the body to cope with stress. The Willow brand offers a comprehensive supplement aptly called Low Blood Pressure, which, among other ingredients, includes the B vitamins as well as liquorice root extract, highly recommended for low blood pressure. Then there is Aim Composure, a combination of soothing herbs and herbal extracts that relax and calm nerves, reduce restlessness and feelings of anxiety, and promote restful sleep. By reducing stress this capsule can very effectively raise blood pressure in those who need it. Note: Due to the efficacy of liquorice root in raising low blood pressure one needs to use this under guidance. And those with high blood pressure should avoid it altogether.